The Bible says that God created the Universe. Secular astronomers claim that the cosmos was formed in a Big Bang event. The Bible is consistent with the Universe. Secular claims are not. 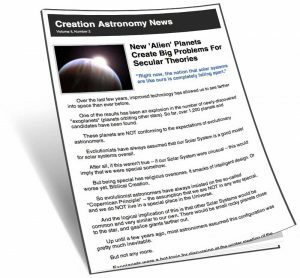 The planets, stars, and galaxies in our Universe all defy secular origins models in multiple ways. Watch preview and read reviews. Download or watch immediately online. Published 6-12 times per year.